Maine businessman Steve Woods, U.S. Senate candidate. AUGUSTA, Maine — One of the four independent candidates in the race to replace U.S. Sen. Olympia Snowe is endorsing former Gov. Angus King, though he plans to stay in the race and is challenging King to step aside if it appears he’s going to be a spoiler in the six-way contest. 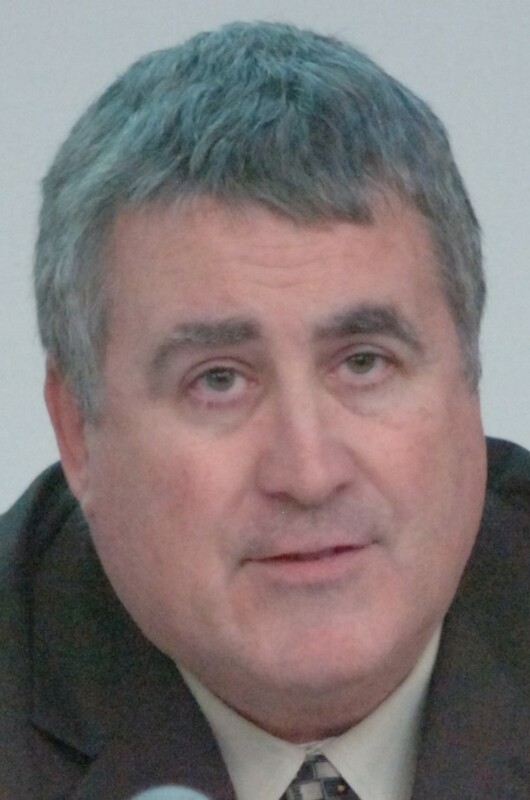 Yarmouth Town Council Chairman Steve Woods met with King on Wednesday to propose that if one of the two men is trailing the other in polls by 10 points or more a week before the November election, then the trailing candidate should drop out and endorse the other. When he first announced his candidacy in early March, King told the Portland Press Herald that he didn’t want to be a spoiler in the race and that he would consider dropping out if it seemed unlikely he would win. King made the statement before U.S. Rep. Chellie Pingree, a Democrat, had ruled out a Senate bid of her own. Now the race is down to King, Woods, Democrat Cynthia Dill, Republican Charlie Summers and independents Danny Dalton and Andrew Ian Dodge. In a letter to King, Woods cites Maine’s 2010 gubernatorial election in which Paul LePage claimed the governor’s office with less than a majority of the vote and the 2000 presidential election, after which some Democrats blamed Green Party candidate Ralph Nader for spoiling the election for Al Gore. King said Thursday he hadn’t had a chance to fully consider Woods’ proposal, but agreed that he didn’t want to be a spoiler in the election. At this point in the race, though, King said he’s not a potential spoiler. “If I thought that, I wouldn’t be running,” he said. Even if King doesn’t agree to it, Woods said he likely would abide by the terms of his proposal and back out and support King if he found himself behind in the polls in late October. Along with serving on the Yarmouth Town Council, Woods is president and CEO of the Falmouth-based TideSmart Global marketing firm, part owner of the Maine Red Claws basketball team and host of a radio talk show. While he says he shares a “core ideology” with King, Woods said there’s a lot that sets the two men apart. “Our approach to leadership, our approach to government, our approach to serving people is markedly different,” he said. Woods’ proposal for King came the same day King challenged his opponents to disavow outside spending by so-called super-PACs during the Senate campaign. King invited his opponents to enter into an agreement that discourages outside spending from super-PACs, a type of political action committee that can collect and spend unlimited sums on a candidate’s behalf as long as the expenditures aren’t coordinated with or given to a campaign. Woods said he has told King that he’s willing to draw up such an agreement. Dill on Wednesday also said she’s willing to entertain the idea, and Summers didn’t say whether he would consider it.